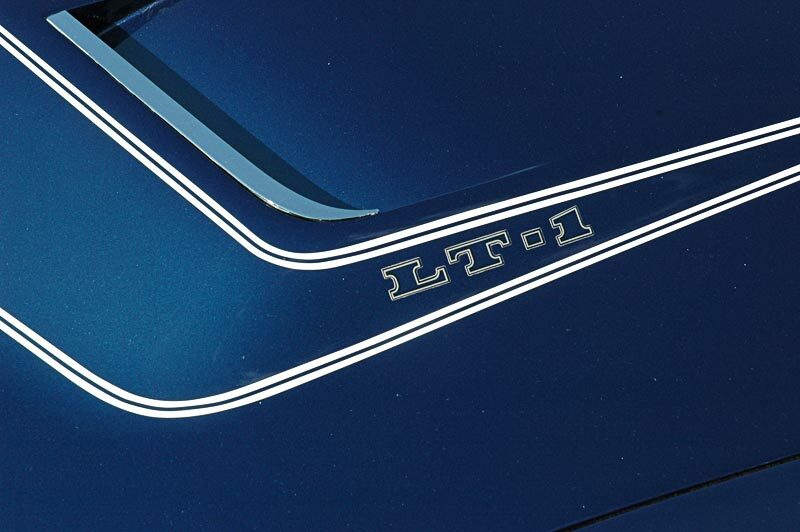 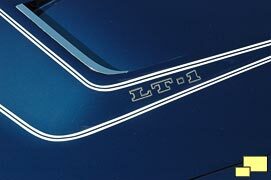 Above: The 454 cubic inch engine and LT-1 engines debuted in 1970 and continued to be available through 1972. 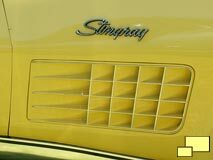 Above left: New fender eggcrate style grill on 1970 through 1972 Corvettes. 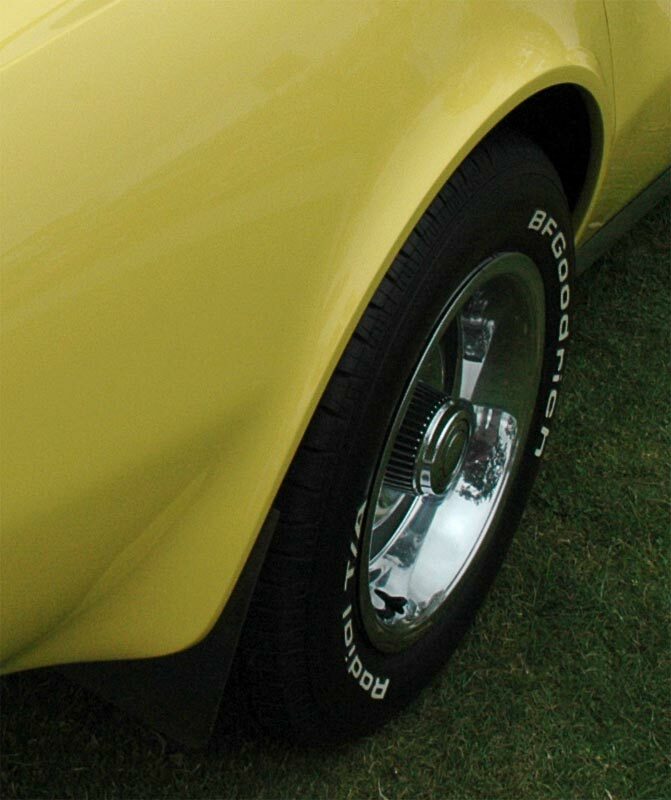 Middle and right: Slight wheel flare on front and rear fender was added in 1970 to minimize damage from debris kicked up from the wheels. 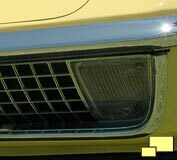 Right: Eggcrate front grill was new for 1970 and would continue through 1972. 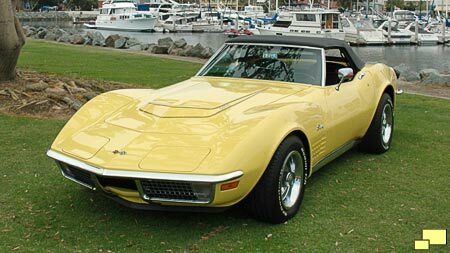 Turn signal was updated to a clear lens backed up by an amber bulb on 1970 Corvettes. 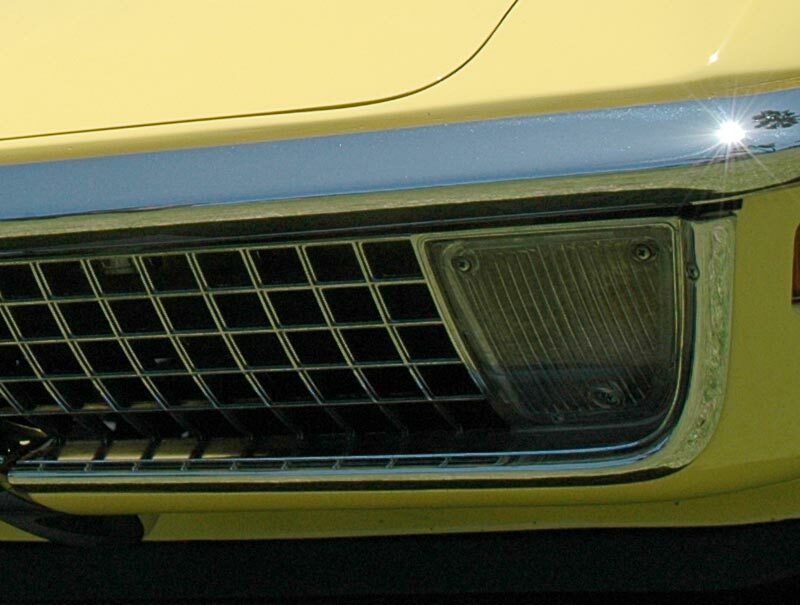 Below: 1971 grill; note the three exposed screws, two on the bottom. 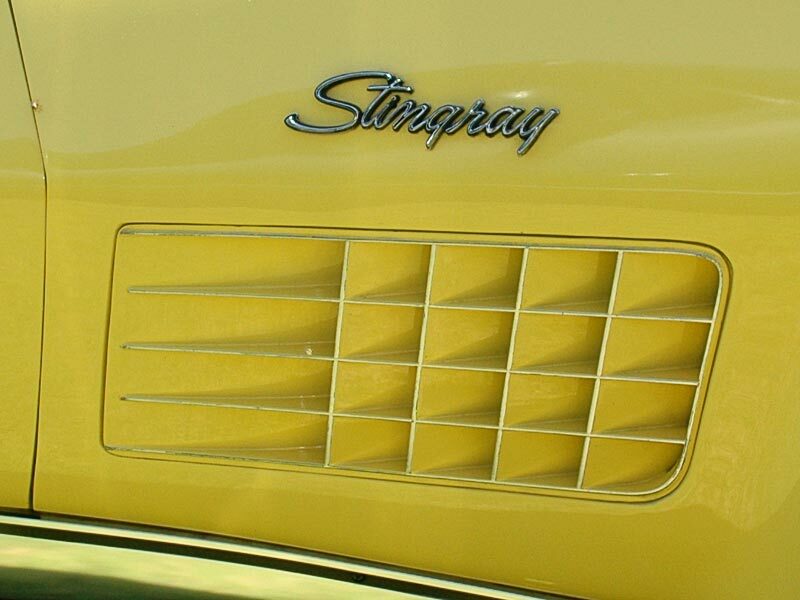 1970 grills are lacking the two bottom screws. 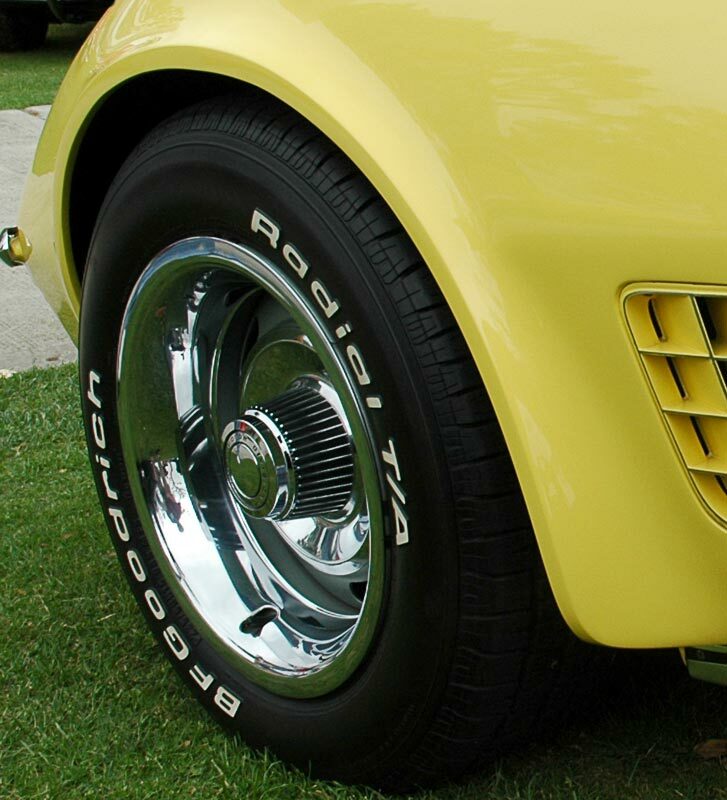 1971 Corvettes had a mix of amber turn signal lenses or clear lenses with amber bulbs. 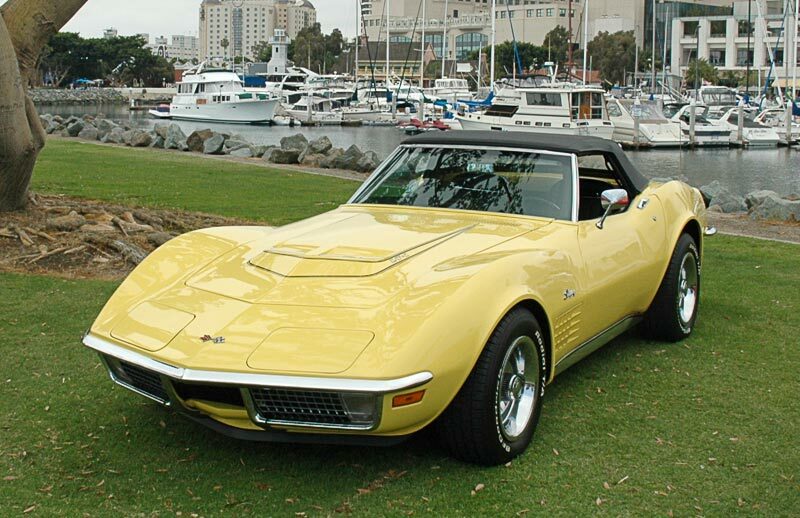 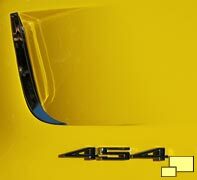 All 1972 Corvettes had amber turn signal lenses. 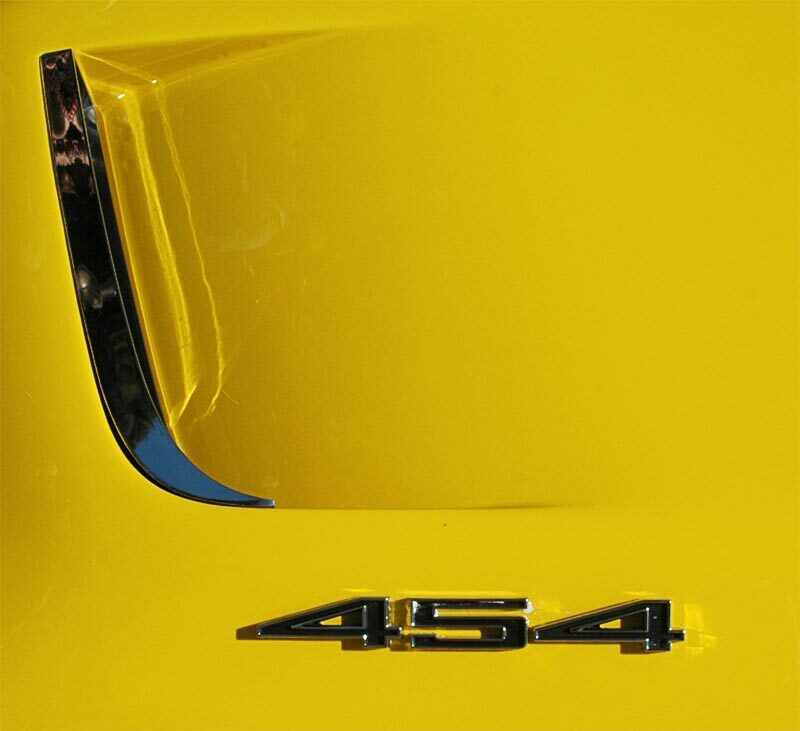 Exterior differences in the Corvette for the 1970, 1971 and 1972 model years are minimal.